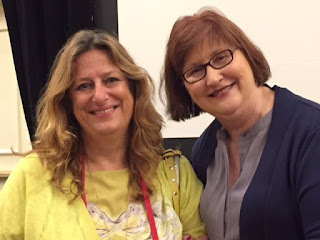 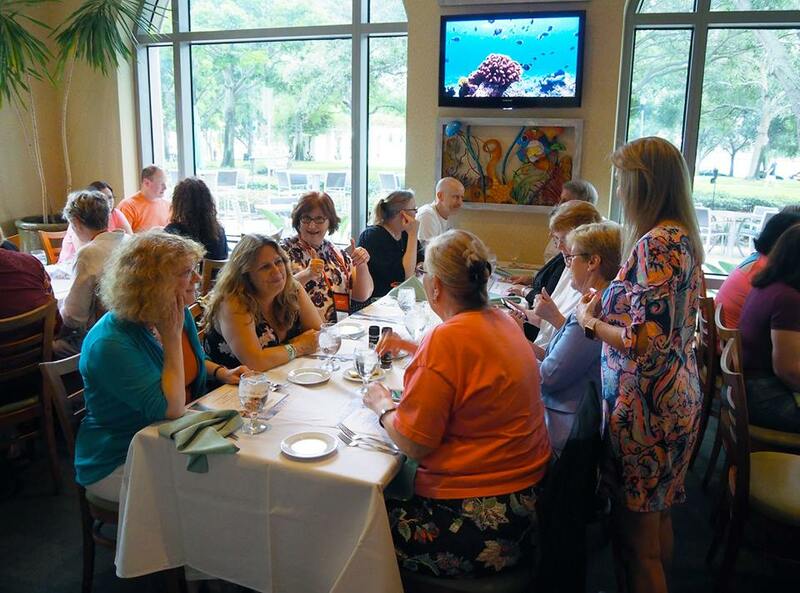 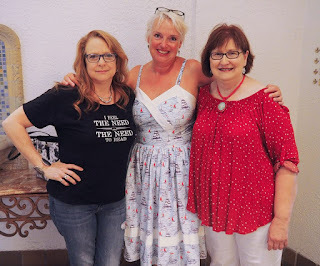 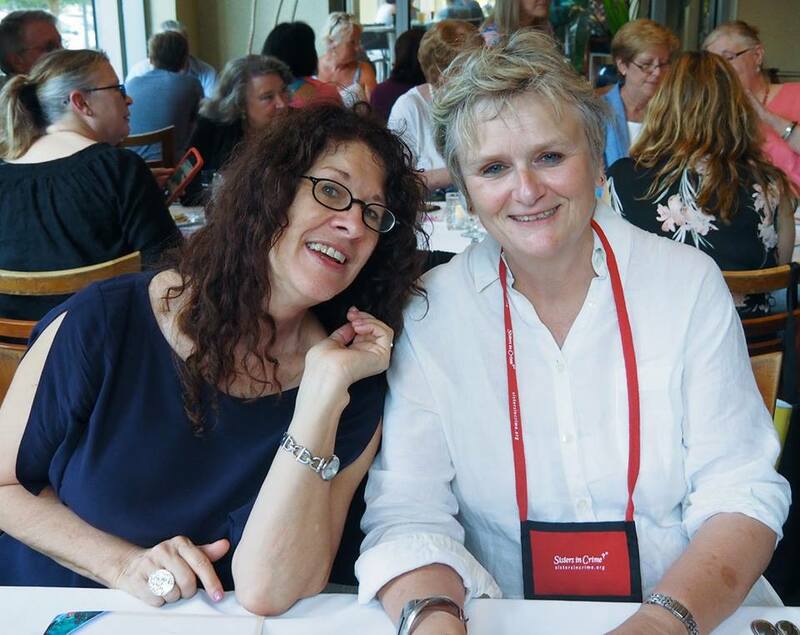 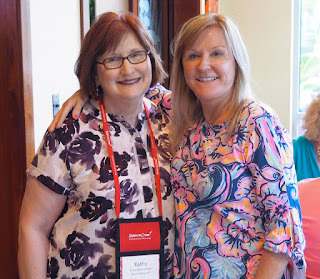 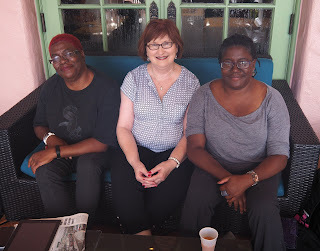 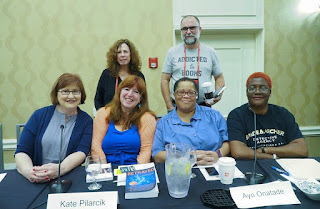 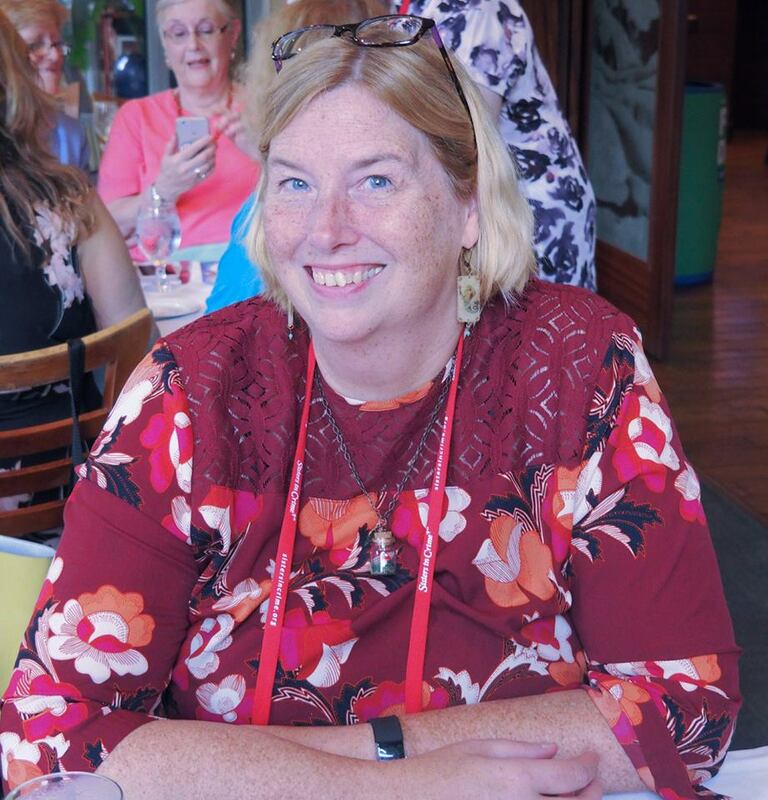 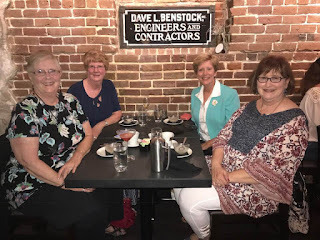 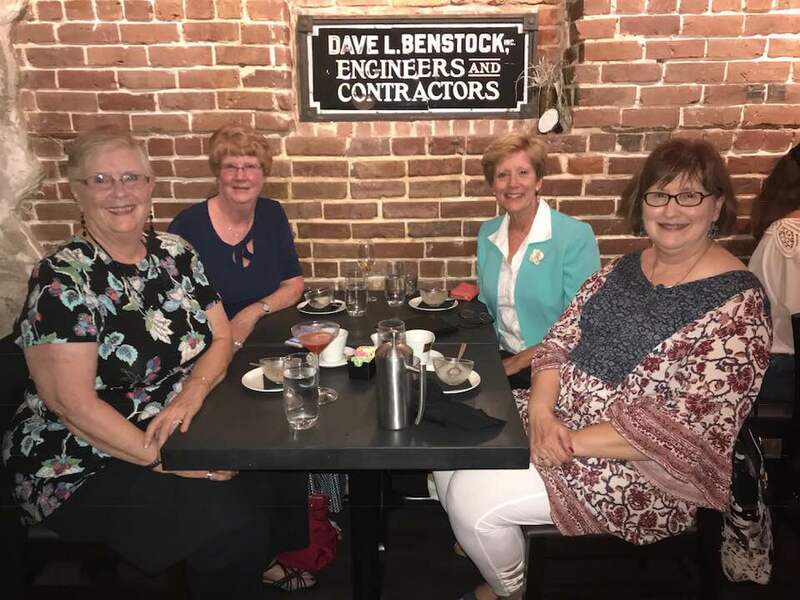 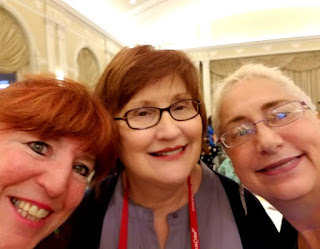 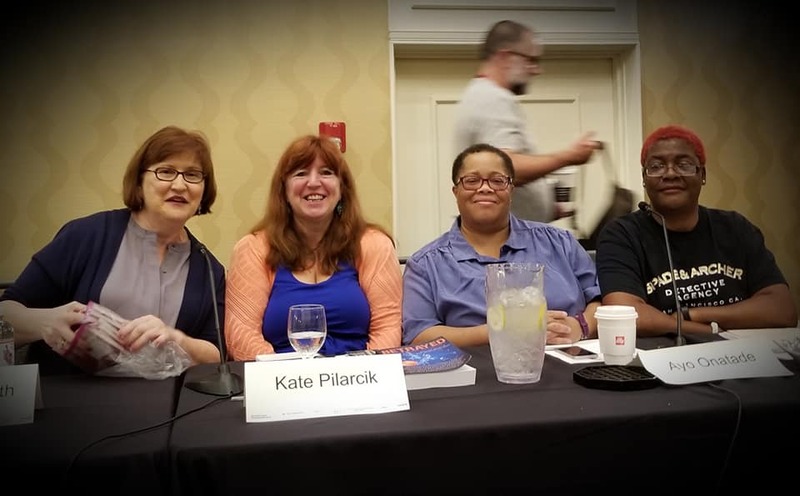 Here are the photos from Bouchercon 2018, which tell my story better than my words can, from the first people I saw there, Ayo and Abi, to my first panel at Bouchercon, to wonderful dinners and lunches, to meeting people I had only talked to online. Major thanks, as always, to John Bychowski for so many of these amazing photos. 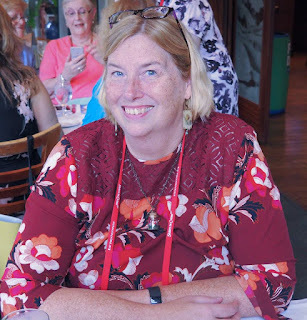 It seems I didn't take as many photos this year. 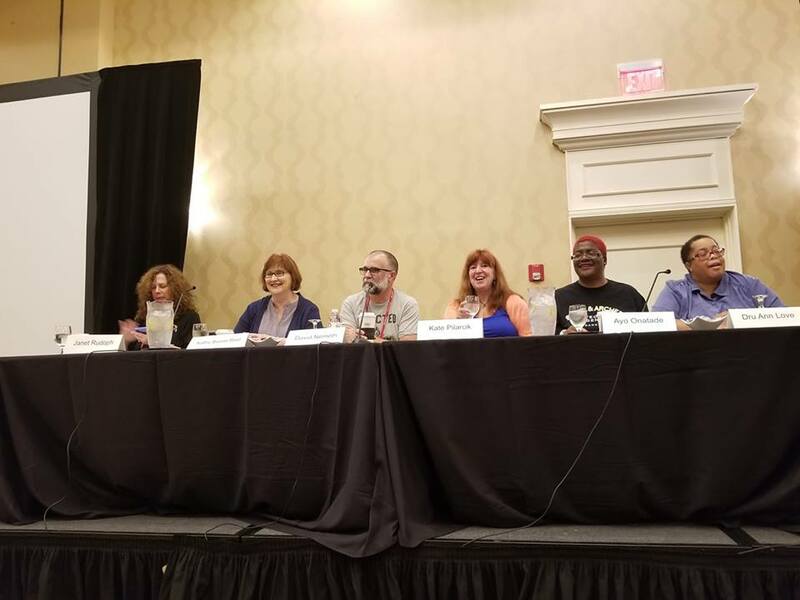 And, since John has posted panel pictures that are the best, I didn't post any of my unclear ones. And, please excuse the messy way the pictures are posted. 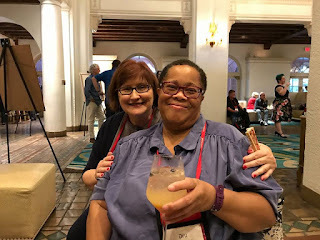 EBlogger got rather crazy and did some strange things with my original arrangements. 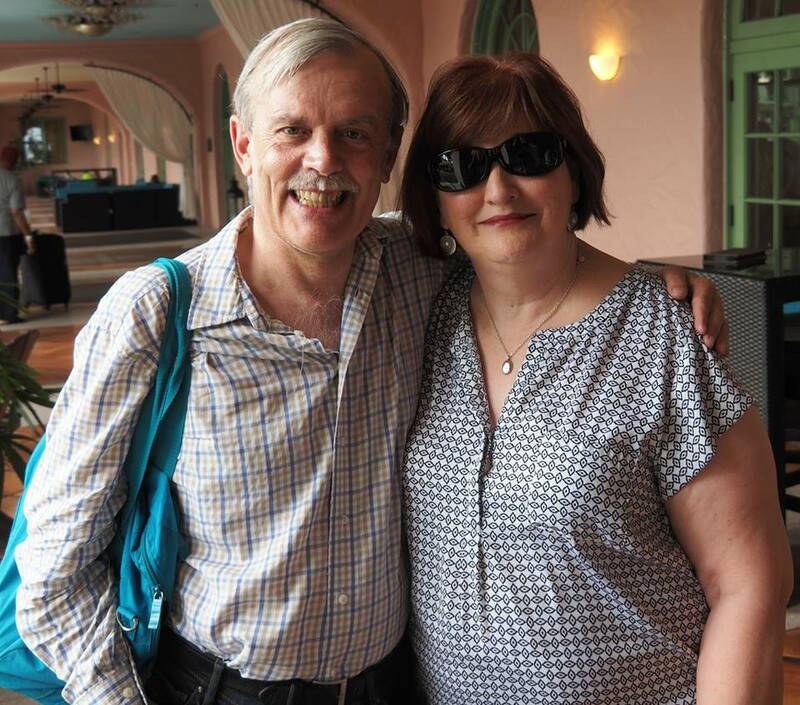 Loved all of your photos, Kathy, or all of John's photos (smile). 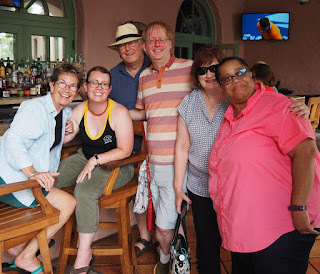 Memories, such wonderful memories. Thanks, Lesa. 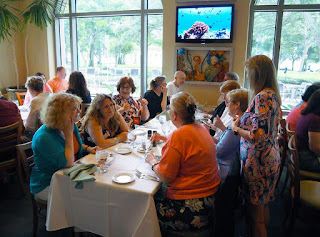 Most of the Wednesday night dinner pics were John's and the rest a mixture. I'm always so happy that John is around, as his pics are so much better than mine.